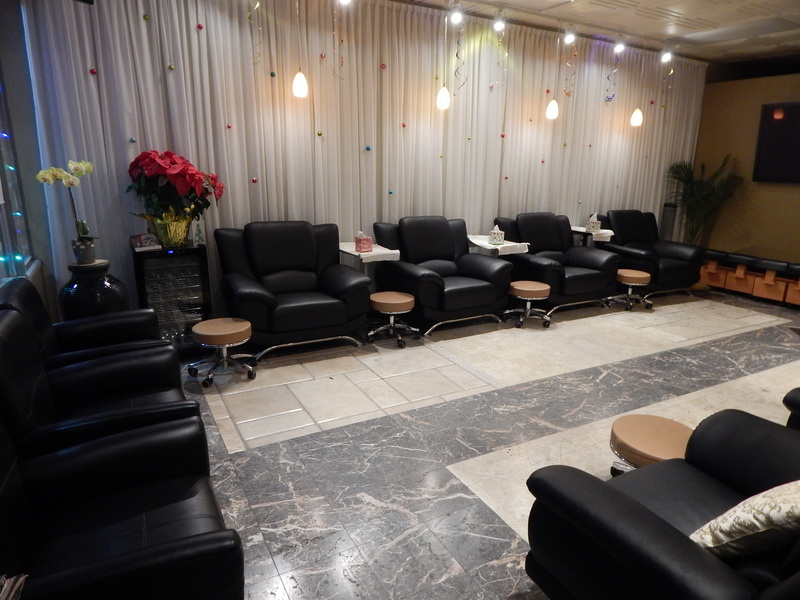 At Apple Nail, we believe that quality doesn’t need to be expensive, just expected! At Apple Nail Salon in Laguna Niguel, we offer you a level of service, selection and serenity not available at other Laguna Niguel nail spas. 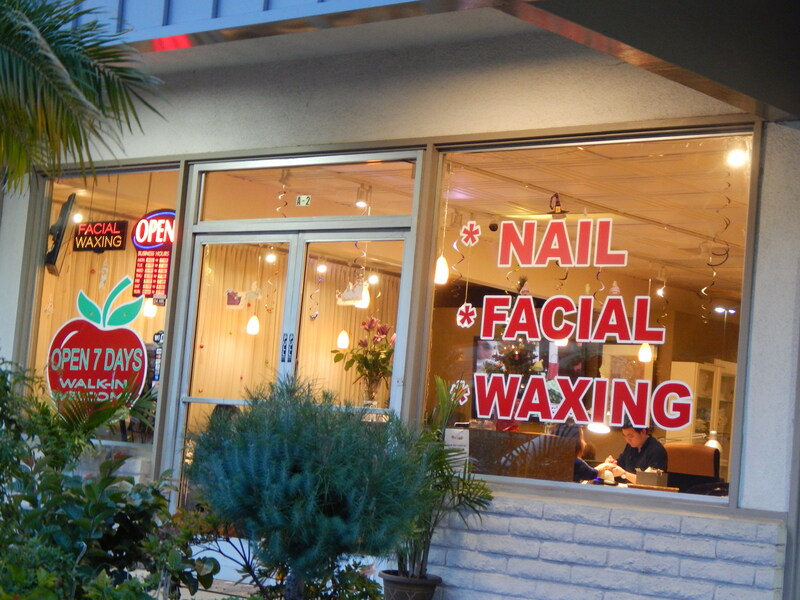 Now under new management, at Apple Nail you will find rejuvenated facilities, staff and service levels exceeding your expectations, at value prices. 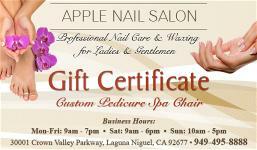 Your health and safety are our primary concerns at Apple Nail Salon. 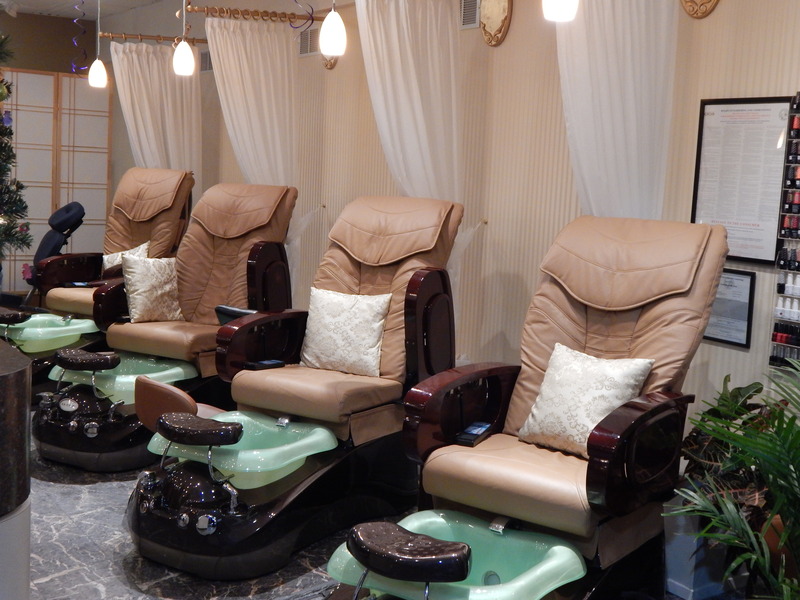 Our equipment and tools are cleaned and sanitized in compliance with the California Bureau of Barbering and Cosmetology regulations. All of our technicians are licensed and undergo additional training to meet the high standards of our customers at Apple Nail Salon. 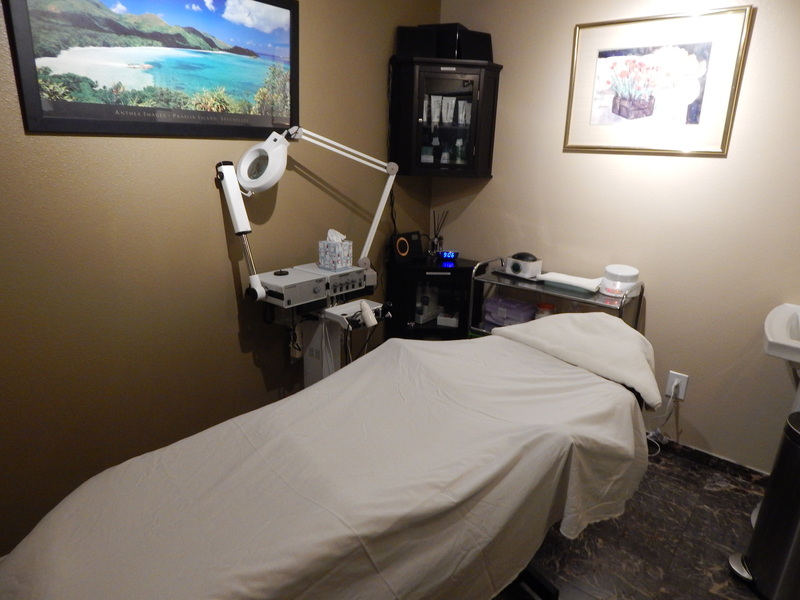 Files, buffers and pumices are single use only, and are offered to you at the end of your treatment. All of our products we select are top notch professional grade, and we strive to be environmentally friendly and use brand name certified natural products wherever possible. 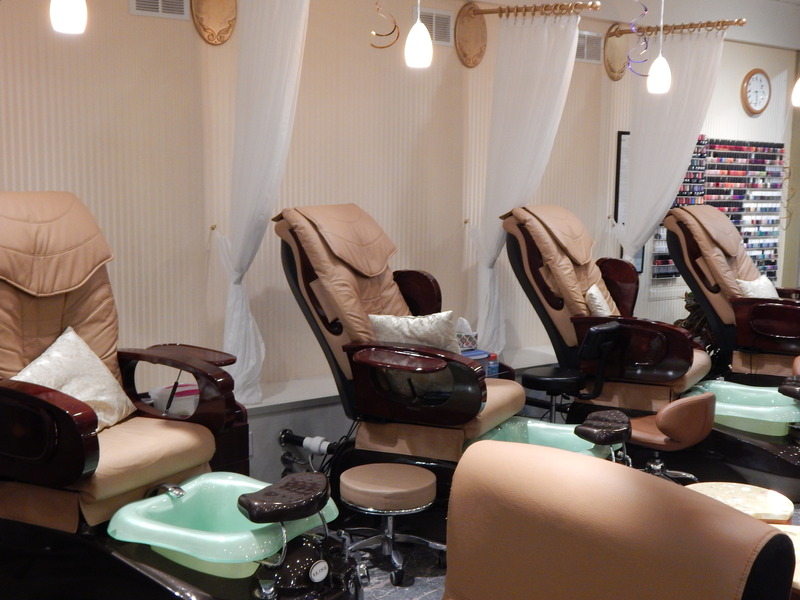 We do not use the lowest cost generic chemical lotions seen in use at many nail salons.